HomeNews & BlogBlogsWhat are Differences between ICO, IEO, and STO? Which token offering method is the safest? Which offers better prices? Which ones are more reliable? You may be asking all these and similar other questions to know what’s best for you. You’re doing the right thing. Before you go buying coins and tokens, you must first know what you’re getting into. There are three popular ways cryptocurrency and blockchain projects raise funds: ICO, IEO, and STO. All these three offer different advantages and suffer from different drawbacks. In this article, we’ll look at these token offering methods from the perspective of you, the token buyer. 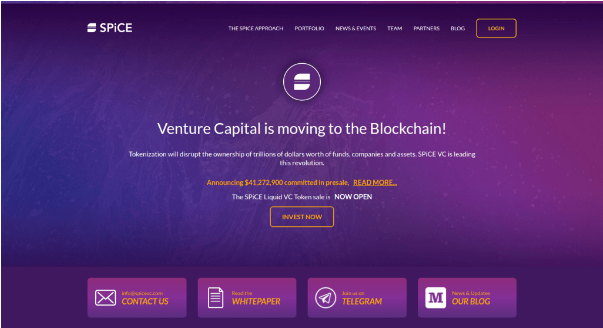 1 – What is an ICO (Initial Coin Offering)? This is the first of the three to be popular. About 2 years ago, ICO was arguably one of the reasons for the crypto bull market. ICO is used to raise funds for developing and launching blockchain products and services. In exchange for funds, these projects offer crypto coins and tokens. These coins and tokens are native to the blockchain where the crypto project will be built. The minimum amount of investment and requirements for ICOs is relatively low, making it very attractive to small-time, new, and amateur investors. ICO List Websites are expected to filter out good from bad. Image from CoinDash. 4.A number of advisors popular in the crypto, finance, and tech sectors. As you may see, the people involved in the project clearly affect the performance of the ICO. The more credible people you have, the more likely the ICO will succeed. Since most coin projects are just ideas and concepts on paper, the only thing these projects can prove is the ability of the team to execute, historically. ICO was a popular crowdfunding method for early and idea stage projects. Between 2017 and 2018, ICOs raised $37.5 million, according to CoinSchedule. Two very interesting features of ICO is the presale and private sale, where crypto projects sell discounted coins to early bulk investors. Presale mainly targets individuals while private sale targets big firms. As a rule of thumb, tokens sold during presale and private sale are smaller in percentage compared to the tokens sold in the official public sale. And even smaller in percentage are the tokens kept by the coin project team itself. This was intended to prevent a single party from dumping a big percentage of the token supply during exchange listing after the ICO. In its essence, ICOs are similar to the stock market’s IPOs. However, the difference is ICOs are not backed by assets, as insisted by majority of the crypto community, and therefore cannot be considered as traditional securities. Many financial regulators beg to differ because the truth ICO investors do invest in coins at a lower price for the possibility of profit by selling it at a higher price, thus they treat crypto like securities. That’s why in many countries, ICOs are banned while the use of cryptocurrency is not. But still, crypto users stand by the idea that coins and tokens are mere currency and payment for maintaining the crypto network. How to Spot Scamcoins. 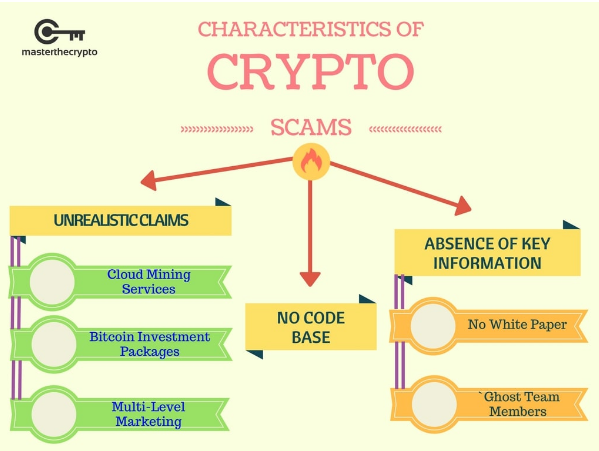 Image from Master the Crypto. ICOs are relatively easy to set up. Among the three, it is the easiest. This may be good for any good team with a good idea, but this is exactly the reason ICOs are a scammer’s gold mine. ICO scams are sometimes blamed for the “popping of the crypto bubble”, which is the bearish market conditions as of this article’s writing. Regulation would help a lot to control ICO scams but the majority of the crypto community refuse to regulators to control too much of the market, especially due to financial and tax implications. Because of the dangers of ICO scams, the crypto community tend to gravitate towards coin project teams that are well-known and active in the community as a whole. 2 – What is an IEO (Initial Exchange Offering)? While relatively new, the concept of the Initial Exchange Offering or IEO is simple. It’s basically the initial sale of crypto coins and tokens to individual buyers on exchange platforms. Since this initial offering is done on an exchange, investors must send their funds (commonly BTC or ETH) to their exchange account addresses. There’s no need to send your funds to a smart contract. When the IEO commences, the investors can buy the IEO token using their BTC or ETH. The whole point of an IEO is for coin projects and investors to rely on the reputation of an exchange for security and performance. Exchange professionals have good experience in the financial markets, sometimes even more so than coin project team members hence, the need for their help. Buyers on exchange are aware of how real order book trading happens, unlike in ICOs and STOs. Many, if not all, exchanges are KYC/AML verified. This offers a high degree of security to the investors. This also enables the coin projects and the exchange itself to track which KYC/AML-verified users are acting maliciously inside the system. One security feature of IEOs is the direct exchange of funds and tokens, which does not happen in ICOs and STOs. Exchanges matches investors’ buy orders and the coin project’s sell orders. Exchanges have every reason to make sure the coin project complies to its requirements to avoid the risk of being associated with scams and weak projects. Exchanges will thoroughly monitor if there are fraudulent activities to protect its users. However, the level of security is pretty much the same with ICO, with the difference being the IEO involving three parties (coin project, exchange, customer) instead of two (coin project, customer). 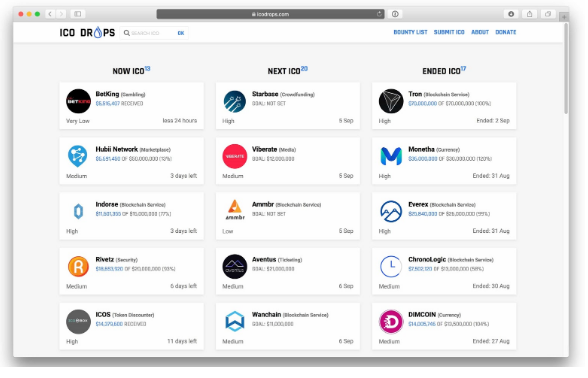 Just a few IEO platforms too choose from. Image from Crypto Potato. Since the exchange becomes a third party service provider in this setup, users and coin projects have to work with them to configure the system for IEO. This adds a degree of difficulty in setting up. 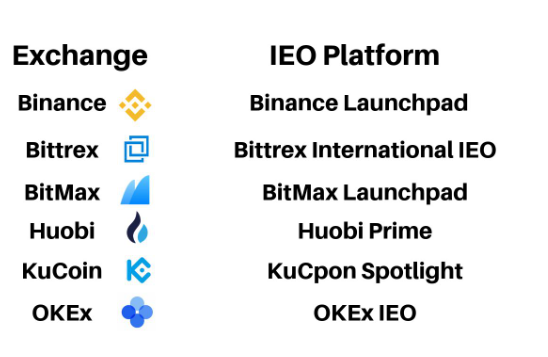 Not all exchanges are the same so there’s a chance that each exchange will have a different system for IEO. This adds more work to coin projects, especially if they are planning to do multiple simultaneous IEOs in different exchanges. The party that holds the most power in the IEO is the exchange. They provide the platform, some of the customers, and the security. The exchange’s interests are above the two parties’. This means that there’s a chance that a crypto exchange may outright refuse to promote a coin or list a coin for IEO at all. They may add extra charges for “privileges”. The larger and more famous the exchange, the bigger the service fees will be. This is a risk coin projects must take if they want to ensure their initial sale. Other than going through the KYC-AML procedures, investors don’t really get many disadvantages in buying IEO. Most of the burden is put on the coin project’s shoulders. If you don’t mind the regulatory process, IEO may be worth trying. In a nutshell, IEOs are relatively more “secure” than ICOs yet less complex than an STO. 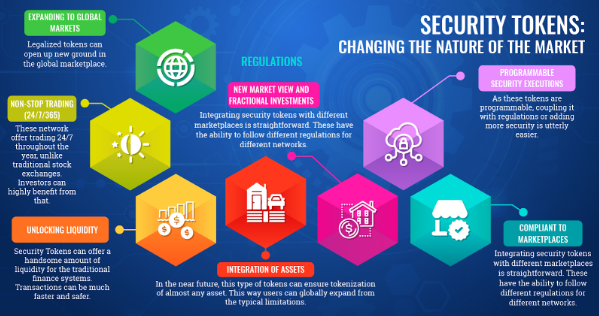 3 – What is an STO (Security Token Offering)? Security Token Offering or STO is a fundraising tool more inclined to regulatory compliance. Compared to ICO and IEO, STO is more complex and difficult to deal with. Basically, STO issues an investment contract backed by security tokens that operate on a blockchain. The keyword here is “asset-backed”. Security tokens are backed by assets, making them legal securities. The “certificate of ownership” for security tokens are recorded in the blockchain as well. When you buy security tokens, you’re basically buying digitally recorded investment instruments similar to real-world stocks and bonds. The Promises of Security Tokens. Image from 101 Blockchains. Security tokens are basically digitally tokenized securities. This means the same real-life regulatory protections apply on security tokens. KYC-AML process is just one of the protective procedures STO offers. If you’re an experienced traditional investor or just plainly aware of the traditional financial markets, you will understand the implication of this. However, this same protection prevents easy access by small-time investors. Security tokens can only be bought by accredited investors. This compliance to traditional regulations also makes STO the most expensive fundraising method of all three. Different countries have different financial regulations. This proves to be challenging for the potential cross-border securities trading envisioned by STO enthusiasts. This may be inconvenient but this cross-border obstacle is what’s preventing investors from falling for dodgy offshore investment schemes. In the United States, the SEC requires a lockup period, preventing investors from cashing out their investments within one year after purchase. STO is mainly for people who can leave their money safe and untouched for a long time. Which One is the Best? ICO, IEO, STO? Different people have different needs. One fundraising method will not please all types of investors. Believe in the idea of decentralization many crypto users stand for. Want cheap investments that can be cashed out fast. Believe in the credibility of crypto exchanges. Want to avoid getting scammed in an ICO. Don’t mind spending big money on tokens. Prefer a more traditional and familiar structure in crypto investing. In the end, it’s actually you, the investor, who knows what’s best for yourself. Look within yourself and examine your needs. Note: This article is not meant to be a crypto investment advice. There are licensed financial advisors who can do that for you.